Siguatepeque, Honduras The process of legally registering ACORN Honduras has been endless, but earlier this year all of the money was paid, all of the rocks moved out of the road that were full of bad lawyers, miscommunications, and false starts. Leaders from the San Pedro Sula area, Tegucigalpa, and Marcala were all scheduled to meet to begin formally organizing the governance structure of the organization. A middle ground location was chosen in Siguatepeque at a large restaurant there. The old saying about not watching democracy made might have applied to this first stab at real governance by the organization. The election plans agreed beforehand would have split the officers and board members between the San Pedro Sula area leaders and those from Tegucigalpa with Marcala having one seat. The board registering the organization legally had been ad hoc and elected solely with San Pedro Sula participation and included one name from Tegucigalpa as a placeholder who was not known to the capital city membership or leaders. A problem arose in the early discussions once the leaders convened. It was unclear whether or not new leaders could be elected unless some of the named members on the board resigned, including the Tegucigalpa placeholder. Despite all of the preparation and prior discussions, suddenly these members of the incorporating board were not willing to step down. The lawyer was called and she worried that an election without their resignations might not be valid. In classic ACORN fashion a compromise was agreed where the nominated Tegucigalpa leaders would be formally allowed to meet with the board over the next eighteen months – or until there were resignations that needed to be filled. They would be able to participate fully in representing their members, but they would not be able to vote. There was extensive discussion about the ACORN principles of membership and local group accountability. Any board member had to be a dues paying member, and it was unclear if that was true, until the membership records are produced. Any board member would need to be active in a local group, and that was also unclear. The discussion itself though helped clarify bedrock ACORN fundamentals, helping the leaders find their footholds for the future. There was discussion on whether a group worried about title to their land had made progress in La Lima, outside of San Pedro Sula. There was a long discussion about the problem of Honduran migrants as part of the march through Mexico towards the US where Trump and troops await them. More immediately the board was required to formally decide on whether to support a campaign in Honduras around the problem of Temporary Protected Status Hondurans being expelled from the US. How would this affect Honduras and jobs? What provisions were being made by the Honduran government and what steps were being taken? How could a campaign impact the US as well? The board in this first meeting stumbled on the issue of how to make a motion, record the activity in the minutes, and vote. There’s no Robert’s Rules in ACORN, but there is an order of business by the boards, and ACORN Honduras was stumbling forward into the future. Another motion needed to put ACORN Honduras on record in support a campaign with the Gildan workers. 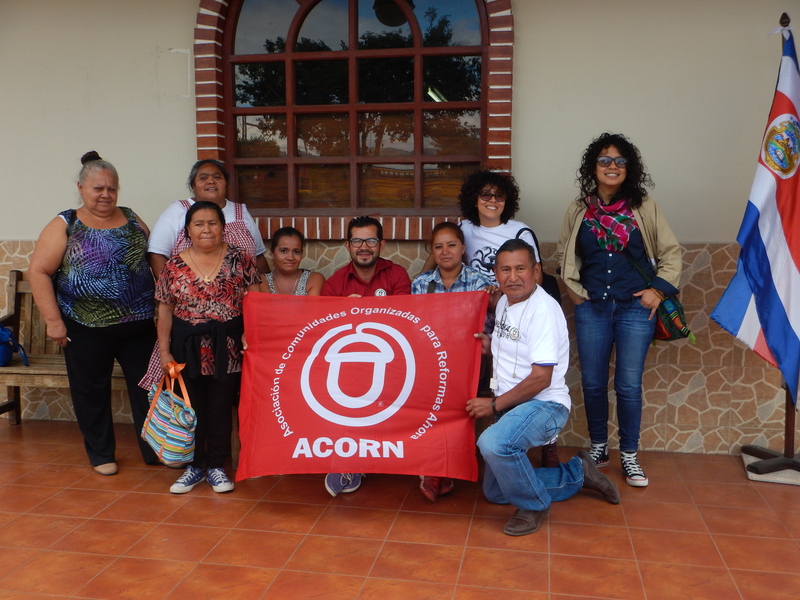 In both cases there was no way for help and support to be requested from ACORN affiliates in the US or Canada, if ACORN Honduras was not campaigning and on record making the request. The board also approved a national recruitment effort for ACORN, introducing the organization on the radio and television stations of allies. Nothing about the meeting was easy, but typical of ACORN being rooted in its principles for almost fifty years, the organization is also committed to the future. The leaders all shared phone numbers and established a WhatsApp group to communicate and make decisions together in the future. New Orleans France, what a country! Here’s an inspirational and “good news” story to bring some brightness into the bleak performance of so many countries in Europe and of course the United States in handling the ongoing political crisis involving migrants. The French farmer who had attracted worldwide attention when arrested and fined for helping organize rescues through the mountains in southeastern France for migrants who had illegally crossed the border and driving them to his farm for food, shelter, and sanctuary won a critical court decision that should have huge ramifications not only in France, but around the world. The French Constitutional Court ruled that Cedric Herrou’s actions were legal and protected under the constitutional principle of “fraternite” that means “all humanitarian assistance should be legal once people have entered France – provided it doesn’t entail helping them enter the country and isn’t delivered for financial benefit,” as reported in the Wall Street Journal. The French Revolution was different than the American Revolution. “Liberté, Égalité, Fraternité” was the motto. Political philosophers have often pointed out the power of the distinction between a demand for freedom in the United States versus the demand for liberty in France. Equality is mainly ignored in both countries as we all know too well, but fraternity, the notion that all people must bond together in solidarity, is also unique. Interviewing Harvard Professor Jacqueline Bhabha about her new book from Polity Press, Can We Solve the Migration Crisis? on Wade’s World it was impossible for her not to emphasize how much migration is not driven by choice, but by humanitarian crises of war, violence, and climate whether from Syria, Central America, or currently the forced starvation and conflict pushing people out of Yemen. In our conversation we didn’t discount the “pursuit of Happiness” that drives economic migrants to uproot their families from their homes and traditions to seek better lives. Bhabha’s book noted that the lifetime earning gain was over $225,000 for such families. Reports from Central America indicate that the average cost for migrants to journey to the United States is between $9 and $10,000, and Bhabha notes that Syrian migrants were also paying about $9000 as well. To believe that migration is simply “the poor and huddled masses” misses much of the modern experience even as we watch the repeated forced migration in the sub-Saharan area, with the Rohingya, and with others. 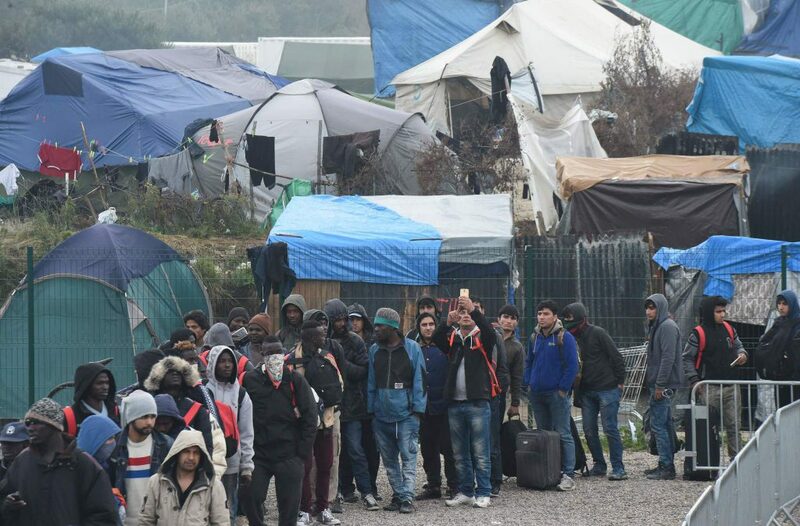 The French court was clear that the border needs to be protected and that traffickers must be prosecuted, but their decision about the responsibilities that we all have to protect and assist the men, women, and children that need our aid and succor should be a clarion call to all countries and all people, not simply the reading of a piece of the French constitution and law. This is part of what drives the outcry about family separation and child incarceration at the US border.